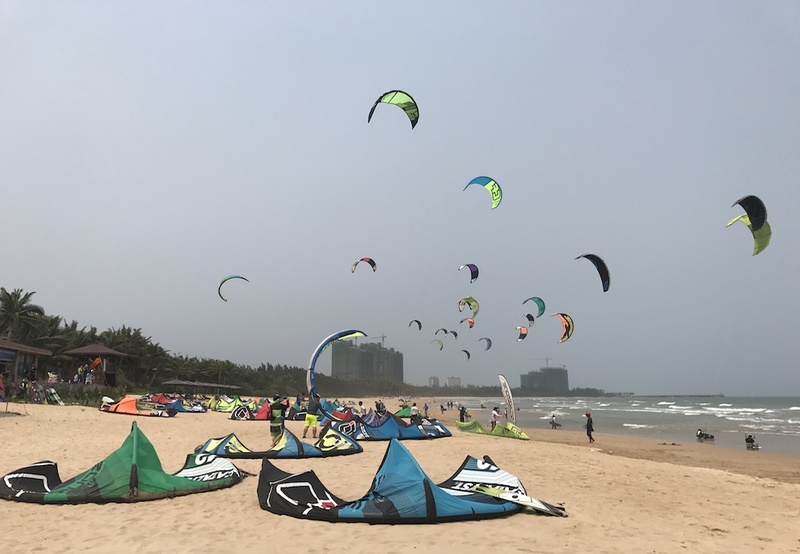 Asia Bay Boao Kiteboarding Center is located in the east coast of Hainan Island, where Boao Asian Forum is held annually. It has the most pleasant climate and lengthy coastline, people are friendly here. 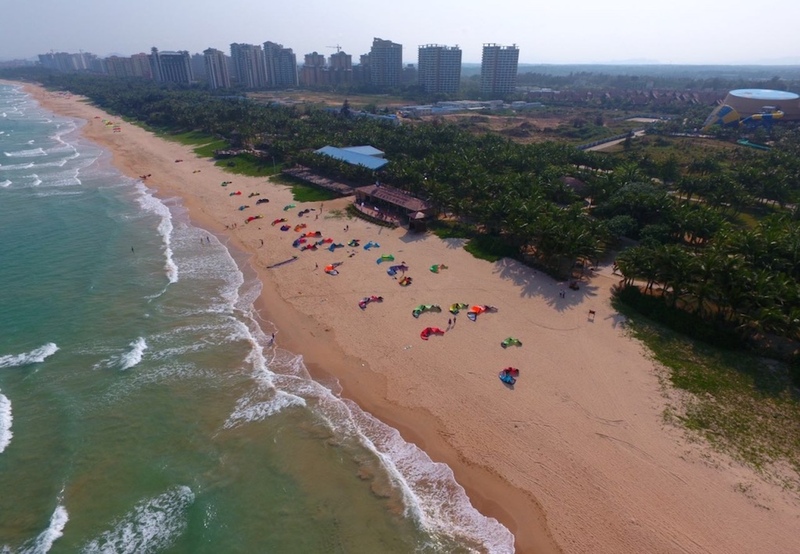 Asia Bay is one of the most suitable places for kiteboarding in Hainan. Facing east, the northeast and southern wind are both perfect at this wide sandy beach. Without any industry, the seawater condition in Boao is nationally first-class. 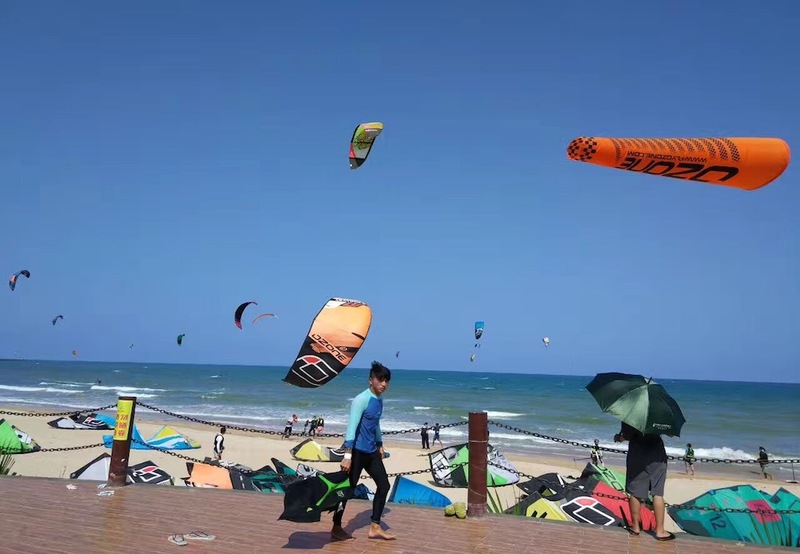 Boao is warm in winter, the best seasons for Kiteboarding are from October to July. In November 2013, Kiteboarding World Championships was successfully held in Boao. Currently, Asian's biggest kiteboarding center is under construction here. Because of the agreeable water, Boao is also a ideal place for snorkeling and fishing. The roads around Boao, between dense woods and coastline, are perfect places for bicycle trip in China. Additionally, huge water parks here will provide endless fun for you and your family. Located at Asia Bay Boao, with five-star service but affordable price, Comfort Hotel is only one minute's walk from the surfing seaside with all seaview room. All kinds of facilities are available here, such as restaurants, bars etc. You can enjoy the most ideal kiteboarding lifestyle here. Also, there are a number of cheap guest house in Boao and Tanmen town, which is quite a good option for some kiteboarding players who have planned a long-term stay in King Bay. Make a reservation of Hainan Comfort Hotel in Ctrip or Agoda. Asia Bay is between Tanmen port and Boao town, two seaside towns with totally different styles. Tanmen is a typical tropical fishing port, in the harbor, forest of masts stood, thousands of ships gathered. On the other hand, clean and elegant Boao, life here is easy and carefree. Due to the annual hosting of Boao Asia Forum, even deep alleys in Boao are full of international fashions. It is no exaggeration to call it the most beautiful seaside town with tropical customs in China. Represented by Sea Story Bar, many bars line at Boao seaside streets. With their fashionable taste, unique tropical sea breeze and waves. 1. Fly directly to Boao Airport. 2. Fly to Haikou Airport, and then take the high-speed railway from Haikou to QIONGHAI station or rent a car at Haikou Airport. 4. IKO kiteboarding instructor training course(ITC). We also provide services such as sea rescue, beach assistant and transfers etc.